Though Samsung has already promised the first Android “superphone” with a physical keyboard in the Samsung Epic 4G, some people may still be waiting on HTC – after all, they’ve produced some great keyboard touting Windows Mobile handsets, but as far as high powered Android handsets go, their selection has been a bit anemic. 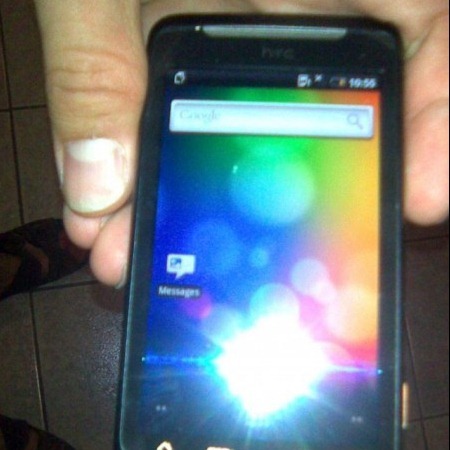 However, it appears that is about to change with some leaked shots and specs of the upcoming HTC Vision. If you’re to believe the Croatian site that is our source, the device is packing a 3.7” screen, runs Android 2.1 with Sense, and is powered by a 1 GHz processor, likely the same Snapdragon CPU HTC has begun using in many of their phones. The launcher appears to be vanilla Android, but the notification bar is black and the messenger app is themed, both elements of Sense. The real attraction of this phone is the full keyboard, though it may not be what many HTC fans are hoping for. Instead of going with a layout similar to HTC Touch Pro 2, this phone’s keyboard is only 4-rows and is quite thin in comparison to the rest of the phone. There is a chance that this could be the finalized version of the phone, but more likely, this is simply a prototype and not what the actual phone will look like. Because of the nature of this leak, we don’t have any release details, but there are rumors that this could launch on T-Mobile as part of “Project Emerald”, though it’s not exactly the dual core phone previously leaked. 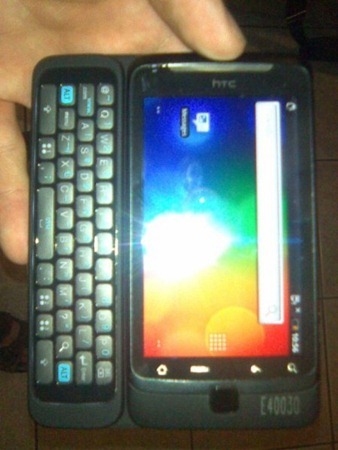 But, for those of you who can’t go without a physical keyboard – if this launched on your carrier, would you pick it up? What do you think of the keyboard?